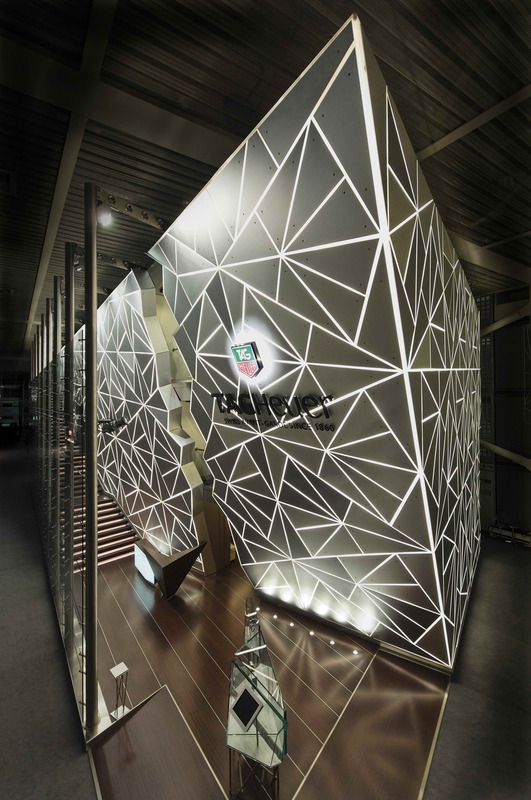 In line with the challenging attitude of the brand, TAG Heuer decided to launch a new international design competition for the new booth, involving British, Spanish, French and Italian designers. The challenge was to find a new, fresh design concept that would re-interpret after 12 years the spirit of the brand, with a truly original attitude. 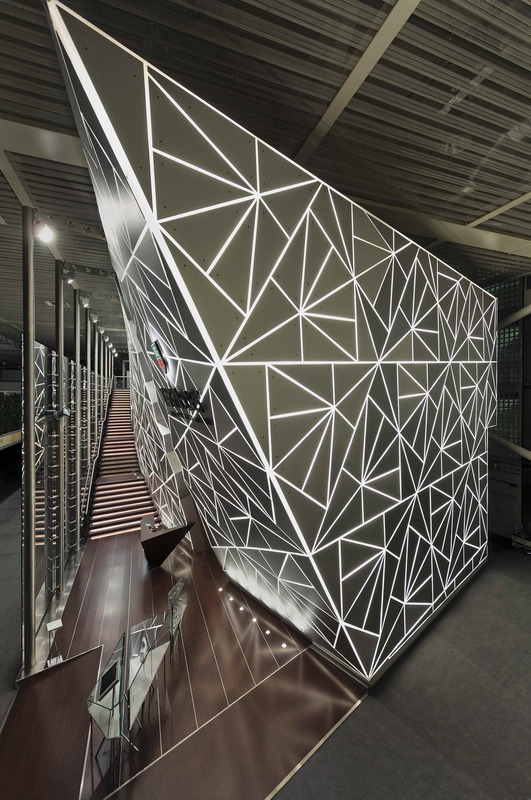 In opposition to the common way of building booths as a square shaped boxes, we thought the new Tag Heuer booth as an helicoidally shaped façade, protruding with a sharp edge and hanging about 4 meters over the head of the approaching visitors. 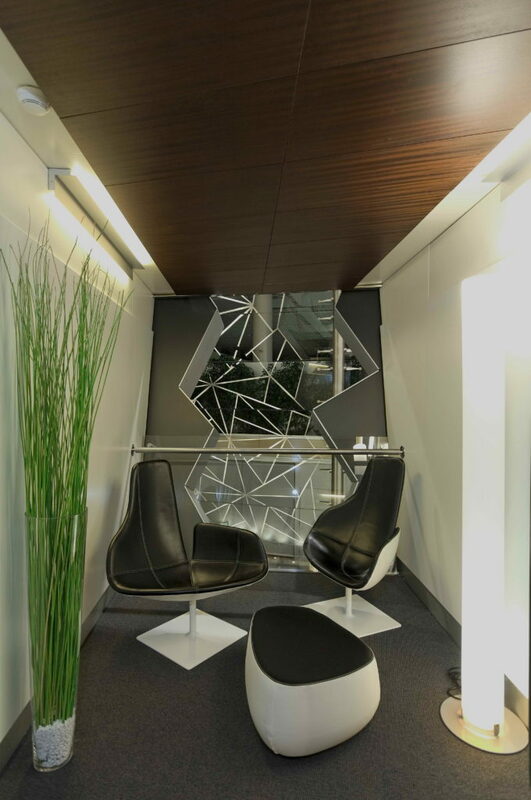 This unconventional design, far from being the result of a shallow fashionable approach, is the strictly logical response to the need of an open reception area on the corner of the booth. 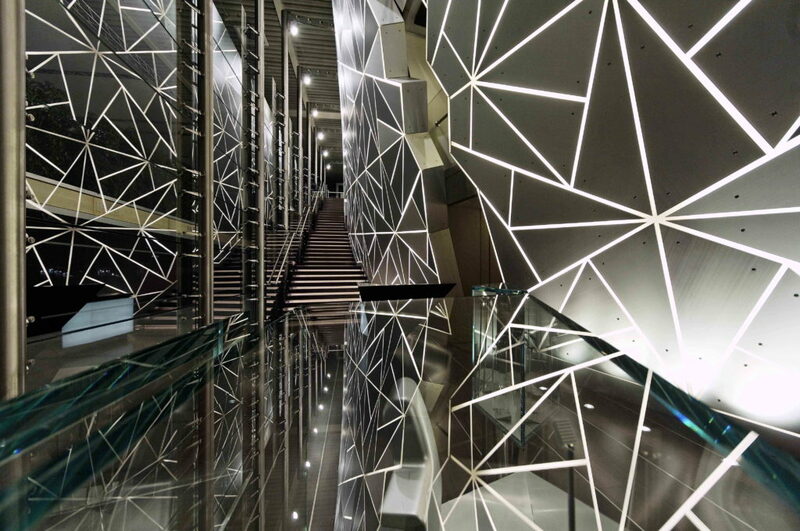 By using the main staircase, placed between the feature wall and a glass façade, the visitors access the upper floors, enjoying a unique spatial and sensorial experience. The new booth is a 1000 sq. meters building on three levels, equipped with 30 sales offices, 4 conference rooms, 2 kitchens, 1 shooting room, and a large bar-lobby area suitable for exhibitions. During the exposition, it can be visited by about 10.000 people and 140 employees work in it. The building takes about four weeks time to be assembled.